Add a one quarter teaspoon SEA-90 per one quart soaking water. Soak the seeds four to six hours and rinse. Purchase window screen at any hardware store and cut into 6”x 6” squares. Cover the end of the Mason jar with the screen and attach with the lid rim. Rinse the sprouts twice daily and allow to completely drain. Refrigerate after seeds sprout and show visible sprouted roots. To improve the digestibility of almonds and walnuts, prepare the same SEA-90 solution and soak the nuts four to six hours and rinse until water runs clear. 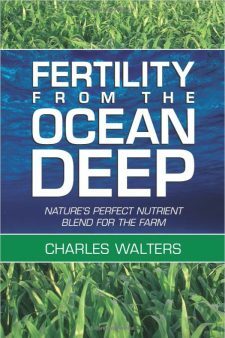 This removes natural enzyme inhibitors that impair digestion. Dry nuts in a dehydrator or low temperature oven and store in sealed mason jars in the refrigerator. Spread one inch of soil, worm castings or compost in tray and moisten or spread two layers of paper towel sheets and moisten. Assemble the storage unit with the top three shelves 30 inches apart. Hang a fluorescent fixture from below the top shelve so that there are at least 16 inches between the bottom of the light fixture and the second shelf. Plug fluorescent fixtures into 24-hour timer and set timer at 12-hour on and off intervals (6 AM – 6 PM). Place heating pad on the third shelf and plug in. Fill watering can with warm water and add one-half teaspoon SEA-90. 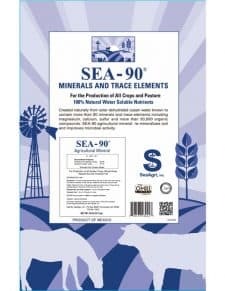 Mix until SEA-90 is dissolved and pour liquid into spray bottle (one teaspoon SEA-90 per gallon of water is our nutrient solution). Place whatever growing medium you intend to use in three trays and moisten till damp but not too wet. 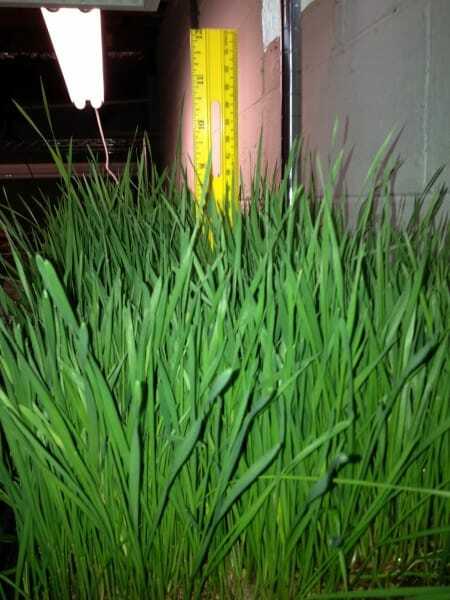 Soak one cup of wheat grass or as described above in “Sprouting Seeds” using SEA-90 solution and rinse twice on day one. Buckwheat lettuce, lettuce and micro green seeds do not require soaking overnight and can be spread directly on the growing medium surface. On day two, pour seeds onto moist growing medium. Any growing medium suggested above can be used. Soil and compost require less maintenance, since paper towels dry faster and require more attention. 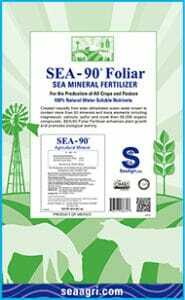 Spread seeds evenly over the entire surface and mist with SEA-90 solution until seeds are damp. Place the trays on the third shelf heating pad and cover with newspaper so seeds are in total darkness. Check twice daily and either mist or water as needed. Once seeds are completely germinated and begin to grow, remove the newspaper and move to the second shelf to continue growing cycle. Cut sprouts once the first leaf level is attained. At this point, you can begin another crop of sprouts and greens.